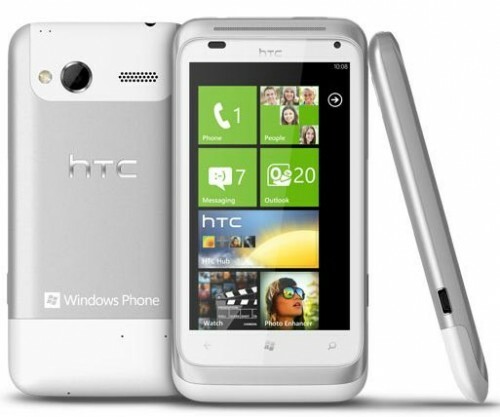 The Radar is HTC's mid-range category phone and it is provided with Windows Phone 7.5 (Mango) operating system. The Radar has a 3.8in 480x800-pixel S-LCD display screen. With total weight of 137 gram, the phone is quite light and flexible. The set similar to other HTC handset is entirely is made up of a single sheet of aluminum. At the back side of the set there is a soft touch pads in contrasting colours that helps in having the better grip on the phone. The phone is powered by a 1GHz Snapdragon processor and is equipped with 512 MB RAM. Other interesting features of the phone are a 5 MP rear and VGA front camera, Wi-Fi, Bluetooth 3.0, A-GPS, and a 3.5 mm jack. The chipset and processor are surety of excellent performance of this phone. For the multitasking the phone set has Qualcomm chipset. The cross-functionalities in the phone occur between webOS and iOS. The phone has no space for a microSD card and has only the onboard memory. The call quality of the phone is good. Its battery life is also evenly satisfying as it allows capturing dozens of pictures, moderate level of browsing and emailing. The battery has backup upto 24 hours. The 5 MP auto focus camera can be used with a 28mm wide-angle F2.2 lens and a BSI (back-side illuminated) sensor. The end result is stills of 2560х1920 resolution. It also has a VGA front-facing camera for self-portraits and video calling. The Internet Explorer on Widows Phone is to the lines of the latest version for the 7.5 update and it improves the user interface.